Israel, Zionism, Judaism, politics, Shiloh, Judea, Samaria, Jewish rights, settlement, peace, sovereignty, Bible, Tanach, History, archaeology. 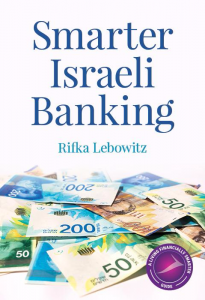 Find helpful customer reviews and review ratings for Smarter Israeli Banking at Amazon.com. Read honest and unbiased product reviews from our users. Article from the Times of Israel, November 12, 2012: Israeli Cellular Customers in for Big Surprise when Dialing Internationally – By Rifka Lebowitz. Article from Haaretz, English Edition, September 11th, 2009: Closing the Financial Gender Gap – By Raphael Ahren. If traditional gender roles have left women less adept at running their finances than men, Rifka Lebowitz, a Glasgow-born private financial consultant, says female immigrants in Israel struggle with money matters in particular. “Everything is in Hebrew and sometimes they’re on their own, and even their husbands don’t fully understand the system,” she explains. To counter this trend, Lebowitz has started offering private tutorials to rectify the situation for local English-speaking women. “There are certainly many sophisticated women who are very good with their finances; some of them run the top companies in Israel and in the world. But there are also many women who aren’t – for whatever reason,” Lebowitz, told Anglo File this week. 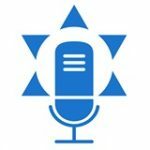 Pesach and Other Financial Surprises – By Rifka Lebowitz; Suzy Kehati. Pesach is no surprise – a surprise is something that comes about unexpectedly. Pesach on the other hand comes about at the same time each year. As soon as we have eaten our fill of hamentashen, Pesach is in the air – the stores have discounts on cleaning fluids, and kosher le’pesach cookies appear in even the smallest of grocery shops. A year ago, Glasgow-born Rifka Lebowitz handed in her notice as the head of an Israeli investment bank’s foreign currency desk in order to fulfill her dream of helping people undergoing financial crises. Rifka, of Beth Shemesh, said: “Everyone was shocked because I handed in my notice on the worst day of last year’s stock market crash. “But my dream was to set up my own company to help people and I realized that people would need me more during a financial crisis.”Her hunch was right and Rifka has built up a successful financial consultancy business called Financial Savvy Women, aimed especially at women,many of them English-speaking olim. She said: “Often it’s the husbands who deal with the finances. On divorce or bereavement many women are suddenly on their own without having had financial exposure. Also some married women come to me because they want to understand what, up to then, had been their husbands’ province.”She also felt that women were more prepared to acknowledge their financial inadequacies and go for help than me n. Rifka added that the financial world and banking in particular was very different in Israel than in Britain. Article Summary – Appeared in the Jerusalem Post: The Importance of Hanukka Gelt – By Rifka Lebowitz; Suzy Kehati. Since the time of the Talmud, the idea of giving money to children has been associated with Hanukka. Traditionally known as Hanukka gelt, in more recent times this tradition has been replaced in some Western countries with presents. Prof. Walter Mischel, of Columbia University, carried out research into delayed gratification, which is commonly known as the marshmallow test. A group of four-year-olds were told they could receive one marshmallow immediately or two later on. When the children were reassessed as adults, it was found that those who were able to wait to get the marshmallows got better grades in school and dealt with their problems better. This skill of delayed gratification is essential for making long-term investments, holding a portfolio and managing household finances. Read more here.